When I saw the Louder Than Words conference advertised I knew I couldn't miss it. Music and writing, celebrated and discussed for a whole weekend, and taking place in the city where I am living and working. I wasn't sure what to expect, and I suspect the organisers felt the same. Friday night's warm welcome from Dr Jill Adam and her team at the opening event for Louder Than Words set the mood for the rest of the weekend's events. Longfella’s poem, and the dreamers was a call out to those involved. 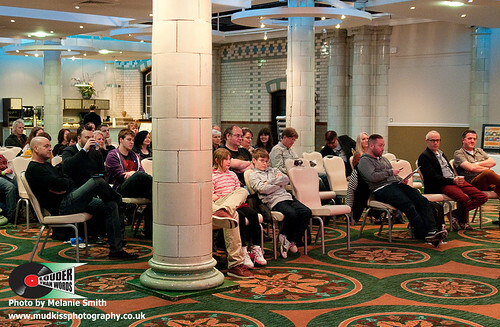 This inaugural conference, celebrating music and words, was held in the marble halls of the Palace Hotel in Manchester. Somehow the venue managed to be intimate rather than intimidating. 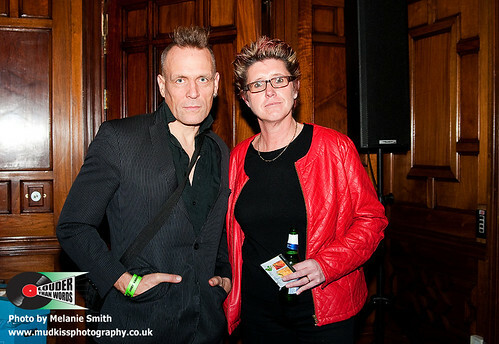 Punks and punters mingled with black ties and ball gowns in the bar. Young music journalism students met the old guard from the Golden Age of music writing on equal terms. 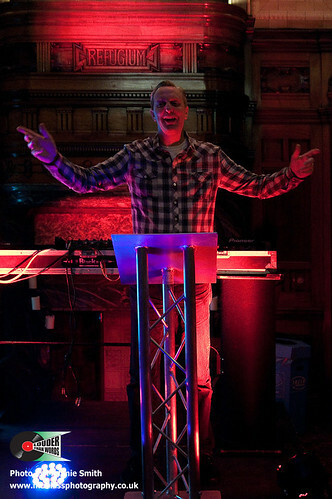 Club Culture and Northern Soul were discussed and set in a context by those who were there and who continue to think and write creatively about those scenes. My dilemma was choosing which event to attend, when two were scheduled at the same time. A chance hearing of an item about rave culture on Radio 4 on Saturday morning inspired me to go to the Club Culture Panel rather than the Barney Hoskyns interview. Northern Soul meant I missed Hugh Cornwell, who sang Golden Brown for his audience. 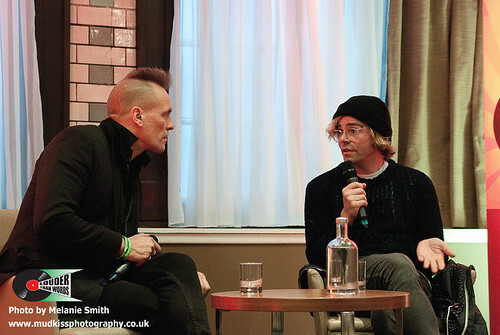 I missed interviews with Jah Wobble and Tim Burgess because I had to catch a last bus on the Sunday afternoon. Talking of travel and music, Charlie Connelly's worldwide search for Elvis and all he represents took him from Tashkent to Porth Cawl. 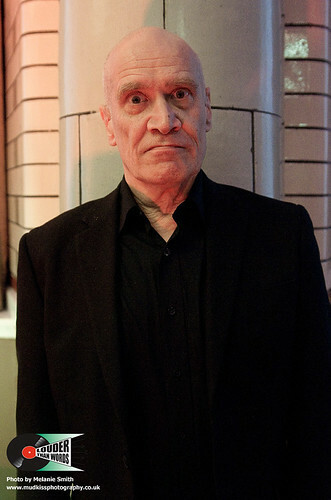 Wilko Johnson was interviewed by John Robb late in the afternoon on Saturday. He and Zoe Howe discussed his forthcoming book, BC (before cancer) and the fact that he had gone past his deadline. Now living on borrowed time, he was an inspiration in every way, and especially in his approach to living with a terminal illness. Down at the Doctors. No room for 'What ifs' in his life. Such love and respect for him in the room, and as great a conversationalist as he is a musician. 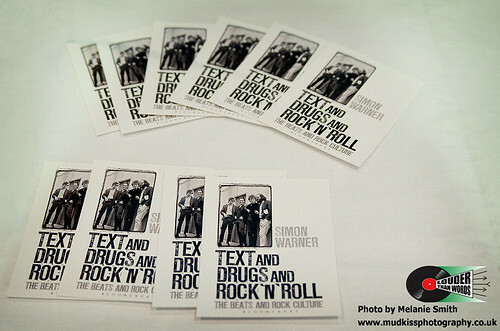 Have academics killed rock n roll is a debate that will run and run. Lots of thought provoking insights. Cultural credibility, time and funding to go deeper into your chosen subjects. Academic institutions help to support music through student union gigs, but institutional academia can castrate rock ‘n’ roll. Music journalism courses and PhDs can give musicians and journalists new careers and credibility. 'Writing about music is like dancing about architecture' was a quote that came up more than once in discussions over the weekend. It made me think of the Hacienda each time I heard it and it didn't seem like a contradiction to me. Chris Salewicz was fascinating, talking about the 27 Club, and an era of rock journalism that was very much part of my youth. He thought the squatting scene had been good for music. The academic debate had identified the dole as being an opportunity for musicians to develop without record company pressure in the past too. Gonzo style journalism, inspired by Tom Wolfe and Hunter S Thompson, where the writer immerses himself in the world of his subject, was mentioned more than once. 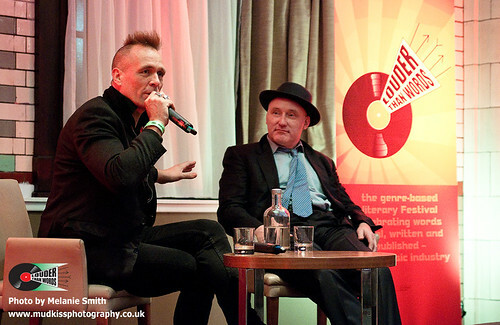 The discussions on getting published, on the future of rock writing, on the Big Mouth fans finding individual ways of getting their words and opinions out there were stimulating and inspiring. 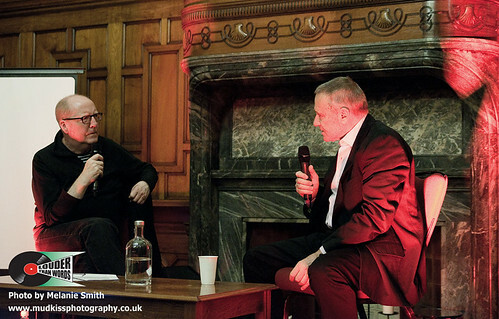 Looking back over the events I attended, I can see that I went for business rather than personalities, but Alan McGee on Creation was a great interview. 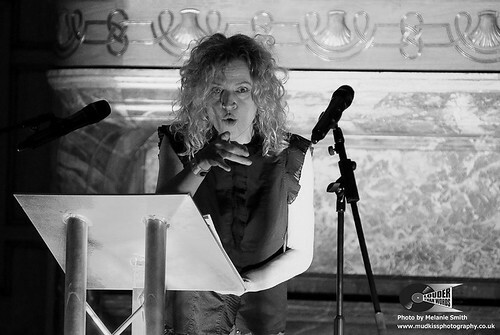 Stella Grundy's performance piece, The Rise and Fall of a Northern Star was powerful, especially when you learnt that it was based on her own experiences of the music business. There was a thread that ran through her performance and Chris Salewicz's concern for Amy Winehouse and the manipulation of young musicians. The Women in Rock panel started a discussion that has and will run for as long as there are women. Feminism versus Equalism, words and meanings, sexism and abuse, how women artists get derailed and distracted from making music. Miley Cyrus was mentioned as you can imagine. So what did I learn from the weekend? 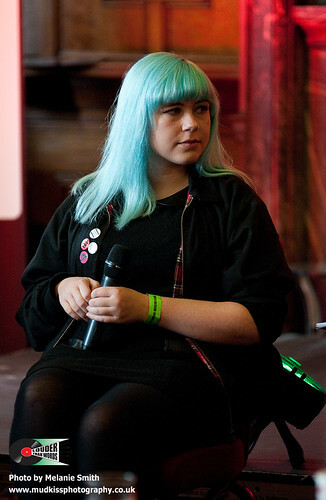 That the future of music writing is female – by which it will be based on community and sharing, though it also didn’t go unremarked that the majority of students on the five music journalism courses running in this country are women. That it’s good to build your audience through social media and the internet, before you approach publishers or try and get a film financed. That it’s important to build trust in your taste and opinions to create a following. Work hard. Take risks and leaps of faith. Jonty Skruff’s tale about being able to look himself in the mirror was something I recognised. And following on from that, be authentic. Above all, the importance of good writing was what everyone aspired to, whether they came from the golden age of music journalism like Chris Salewicz and Barney Hoskyns, or they were a young writer like Charlotte Davies from the Hooting and Howling website. 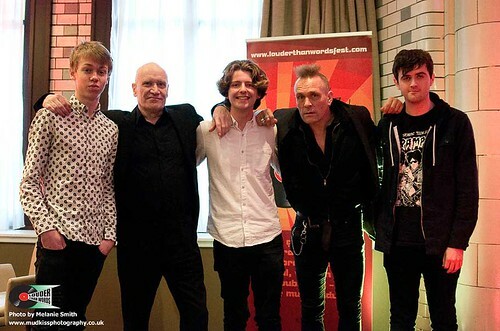 And of course the first Wilko Johnson Writing Award for young aspiring music journalists was handed over to Ryan Carse by the man himself, amazing recognition and encouragement for the new generation. My regrets – not being able to be in two places at once, which meant I missed some of the personalities. And not realising Wilko and I had a shared love of Old Norse earlier! Never expected to hear him quote Icelandic poetry. And those taking part all have a way with words. Music journalists think on their feet – just like dancers then. Writing about music is like dancing about architecture. Thank you to all who organised it, all who took part and attended. Apologies to those I haven’t mentioned by name but who have influenced my future thinking. Looking forward to next year’s conference.